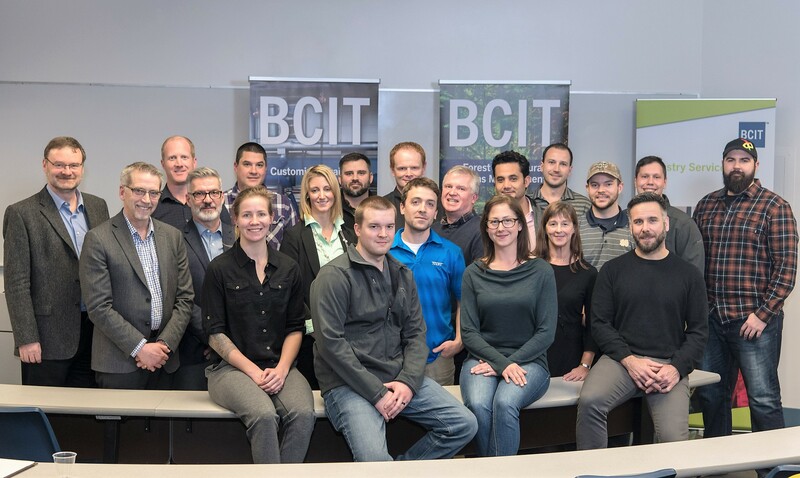 BCIT welcomed the first graduating cohort from the pilot program of Associate Certificate in Industrial Wood Processing (IWP), School of Construction and the Environment (SoCE). The first cohort graduated from the pilot program in December 2018. The success of the pilot program has created another cohort of students who started in January 2019 and an additional to start in June 2019. This program begins with a 2.5 days in-person orientation, followed by five online 3.0 credit courses. All of the students are sponsored by North American lumber companies including Canfor, lnterfor, Tolko and West Fraser. In the subsequent launches, Conifex, Delta Cedar, Gorman Brothers, Millar Western, Western Forest Products and Weyerhaeuser will be joining those companies. Due to the educational relevance of program materials for the North American workforce, more companies are expected to join. This provides a competitive advantage for students enrolled in the program as the lumber sector is truly a North American endeavor. Congratulations to the first graduating class of IWP!